The Top Gear presenter was at a press conference in Sydney when he made some silly comments about Gord last night. He said: "We have this one-eyed Scottish idiot who keeps telling us everything's fine and he's saved the world and we know he's lying, but he's smooth at telling us." His comments show he seriously lacks judgement. Yes, yes, the eye thing is below the belt - but what's that bit at the end? The PM is smooth at telling us! 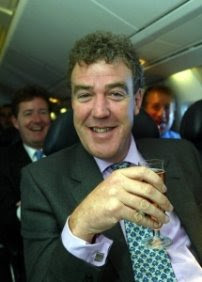 Which country has Clarkson been living in? It shows he hasn't really got a clue and just had a dig to cause a stink. 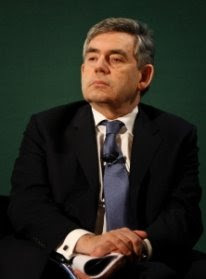 First the Germans and now the French – Gordon Brown is becoming the whipping boy of European leaders. 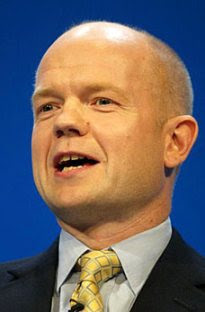 Lobbydog would’ve paid to see the look on Gord’s face as his VAT cut was slagged off by the French President last night. Sarko said tax cuts in the UK had done sweet FA to boost consumer spending. It was in December that German Finance Minister Peer Steinbruck slated the PM’s economic rescue plan as “crass Keynesianism”. Still, Gord’s only got himself to blame after years of boasting how much better Britain was than France and Germany. Also it would’ve been an extra bitter pill to swallow after Tony Blair became the first Prime Minister to meet Obama. Blair nipped in there quickly while Brown was looking the other way. Old habits die hard. I thought we we’re going to get into a ruckus with Geoff Hoon earlier. 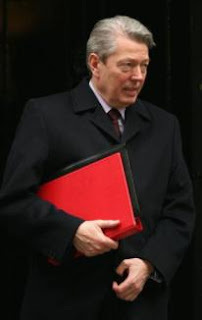 The Post’s parliamentary correspondent first noted that the Transport Secretary might be breaking here. And at one point at lunch earlier today he even said “c’mon!” to us in the middle of a rant. Some other regional hacks and myself were having lunch with Hoon when someone inevitably brought up the snow issue and why busses don’t have any chains for their tyres. “How many snow chains have you got?” Hoon demanded from the hack. There was silence. “I, I don’t have any,” came the quiet response. “No. Have any of you got any snow chains? How much are they? £54.50 at Halfords,” he said answering his own question. UPDATE (6th Feb): Hoon pulled the same trick on Question Time last night - demanding to know if anyone had snow chains. He seems to have adopted this new 'attack is the best form of defence' approach all round. Stand aside suffragettes, out of the way William Wilberforce – a new force for freedom is upon us. Gordon Brown took top prize for self-congratulating exaggeration of the day at PMQs yesterday when he was asked about the Government’s scheme giving free bus travel for pensioners. Lobbydog agrees the scheme is good. But he must have missed the news stories about pensioners throwing themselves under the Queen’s horse at Ascot to win their right to travel to Poole for free. The only thing worse than being a backstabbing toad, is being a backstabbing toad that lacks conviction. 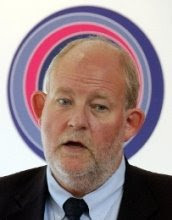 Charles Clarke falls into the second category after his interview in the Telegraph in which his apologises for trying to get the PM sacked last year. He even let slip rather unsubtly that he'd like a job at the top table. "I'd love to do transport," he told the paper. 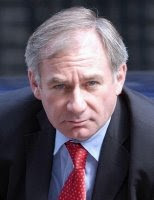 That will give the incumbent Notts MP Geoff Hoon nothing to think about. I’ll be intrigued to see exactly what kind of deal they reach at the Lindsey refinery. Anything that sees jobs given preferably to British workers is surely going against EU rules. Regardless of whether it’s the right thing to do, you can’t ignore that it’s against the law. If they do come to a settlement what’s to stop people in other countries doing it? Notts MP John Mann has also tabled a motion "deploring" the use of foreign workers at Lindsey, and congratulating unions for "exposing this exploitation and the absence of equal opportunities to apply for all jobs". Bizarre considering he’s advocating preferential treatment of British workers within the EU. 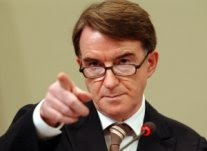 In a secret message Peter Mandelson confirmed his status as Dark Lord of British politics by surreptitiously appearing in front of an upside-down Union Jack. That’s what I reckon anyway. The official line is that the mis-hanging, which occurred during a signing with the Chinese Premiere, was a mistake. You’ve got to laugh at the silliness of flag-gate. 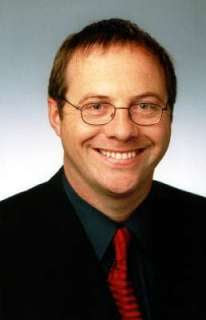 That is unless you’re Tory MP Andrew Rosindell who won the prize for overreaction of the day. He called it "an unbelievable flaw in protocol". 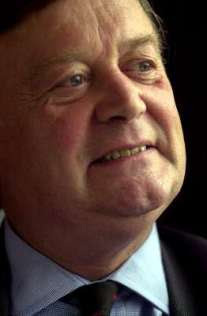 In a rather unnoticed turn-around yesterday Ken Clarke, of all people, used Europe as weapon against the Government. Reports of yesterday’s Commons statement on wildcat strikes carried Clarke’s comments about “British jobs for British workers” being irresponsible language. Fair enough as that’s the day’s main story, but it was not where the Rushcliffe MP began his speech. He opened by highlighting the division within Labour over EU rules on foreign workers, revealed when Alan Johnson said they may need to be reviewed. The shadow business secretary then challenged minister Pat McFadden to state clearly that the Government supported the EU rules as they are. Officially ministers do, but to have said so categorically at that point would’ve been damaging. I expected Clarke to be strong on the front bench, but was still surprised by the nuance of this – the Tory’s former difficulty on Europe was now Labour’s, and Labour’s former weapon was now the Tory’s. More and more I think Mandelson will be the one wanting to take Clarke on to stop further points being scored. PRIME Minister Gordon Brown insisted Britain would get through devastating snow showers today. 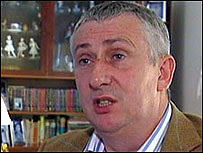 Mr Brown made the comments as paralysis in the capital’s transport system brought London to a standstill. Addressing Parliament he said: “These are difficult times but we are in a very strong position to deal with this. “We’ve invested £56m to buy a packet of salt for everyone in Britain, which they’ll be able to wave out in front of them as they walk so dissolving the snow. “There is also real help for the most needy in the form plastic cards, which we are giving to people so they can scrape their windscreens each morning. Suffolk Police have apparently written to Police Minister Vernon Coaker asking for £160,000 to cover the cost of policing the PM's summer holiday last year. The local paper is reporting that the Browns' visit during July and August led to a major security operation that stretched the force's meagre budget. The trip was meant to boost tourism in the area - next year maybe they should just get the deck chairs out and sit in the back garden.